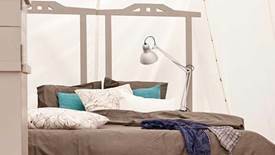 If you’re looking for a luxury camping experience with you pooch then you’ll be excited to know that dog-friendly ‘glamping’ is here. 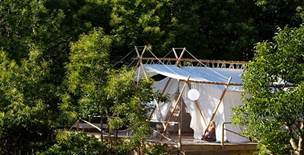 Sawdays has launched its new website, Canopy and Stars, for glamping holidays across Britain, Ireland, France, Spain, Portugal and Italy. Choose from places such as a tiny hideout in the woods, a yurt by the lake or travel around in a VW campervan, there’s a holiday for every hound. 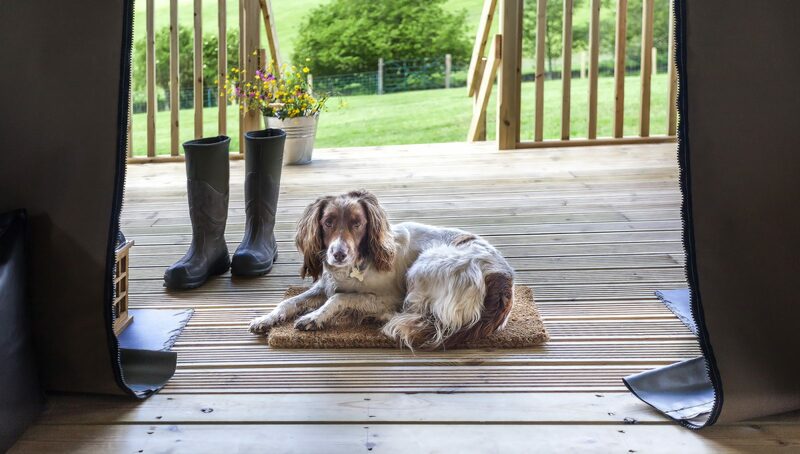 If you’ve stayed in an unusual dog-friendly holiday accommodation please let us know in our holiday survey. Want to explore? 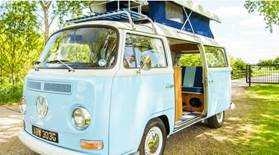 Hire Milo, this attractive light blue VW campervan. 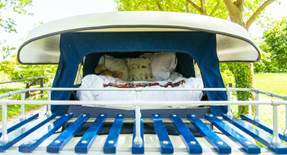 Milo is fitted with a fold out double bed and a rooftop bed for two children, and is stocked with petrol, fresh milk and juice, cake, bread and hot chocolate. Additionally you can request folding chairs and a BBQ grill, or a picnic blanket, cool bag and bike rack. Pick Milo up in Somerset and head off. Where will you go? Brecon Beacons? Cornwall? The Cotswolds? From £81 per night, space for one dog £25. 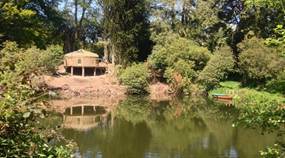 After The Gold Rush Yurt, Shropshire, is perched high above two secluded fishermen pools, hidden away within the walls of the Walcot Hall Estate. Spend hours wandering beneath the boughs of the eclectic arboretum, in and out of the grottos, and up to the giant wooden bear on the grounds of the estate. 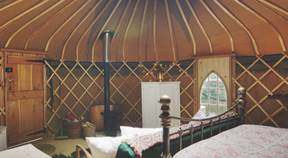 Inside the yurt there’s wood burning stove, a double bed, a small double sofa bed, a place to cook and eat or you can enjoy a barbecue out on the deck. From £72 per night, space for two pets at no extra cost. 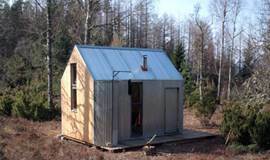 The Bothy Project was part of a plan to establish a series of studios in diverse locations across Scotland where artists could hide themselves away and get creative. 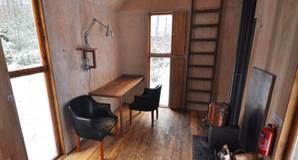 Cook on the wood-burner, shower in the fresh air and pop over to Walter’s gin distillery too, recently voted Channel 4’s 2015 Shed of the Year. This Highland hideout has space for one dog but they must be kept on a lead while in the vicinity of the nearby farm. From £85 per night, space for one pet at £10 per stay. 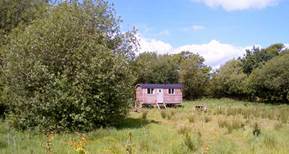 Settled on Ty Cerrig Christmas Tree Farm, Cardiff, the Gwdihw shepherd’s hut is comfortably self-contained with sheep’s wool for insulation, one fold-down double bed and one set of bunk beds suitable for small children. During the day you can head out to the Vale of Glamorgan walking trails but remember to pack some Welsh cakes in your backpack before you leave. From £85 per night, space for one pet at no extra cost. If you’re planning to jet away, Vinha da Manta, Guarda, Portugal offers eight stunning canvas lodges. The surrounding area is dotted with olive, almond, peach, cherry and fig trees, the estate has an eco-filtered natural pool for swimming, with a bar. During the day you can hike to “Parque Natural da Serra de Estrela” a protected natural area that has escaped mass tourism. 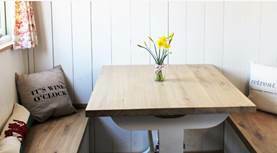 From £73 per night, space for two pets at no extra cost.